The ThunderShirt Classic Dog Anxiety Jacket were designed to feel like safety blankets, but for dogs. This jacket is an incredible training tool that is snug and comfortable and designed to increase the effectiveness of treating noise anxiety. 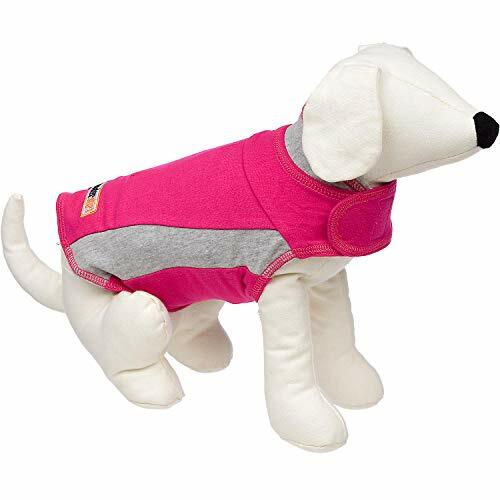 We hope this jacket helps to calm your dog and lessen their noise anxiety! The original ThunderShirt has the best patented pressure wrap design available. Like swaddling an infant, ThunderShirt is scientifically proven effective to calm anxiety, fear, and over-excitement issues. Easy to use, ThunderShirt is adjustable for just the right pressure to calm your dog. Already calming millions of dogs, ThunderShirt has over an 80% success rate. Use for thunder, fireworks, separation anxiety, travel, vet visits, problem barking, reactivity, and much, much more. Great for rescue dogs. NO TRAINING REQUIRED. COMFORTABLE FIT FOR YOUR DOG. Made of machine washable, soft, breathable fabric. We offer a MONEY-BACK GUARANTEE: If ThunderShirt does not work, return it for a refund of your purchase price.